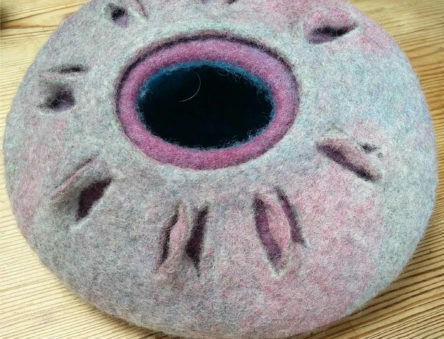 Learn how to make rigid felt items from simple sheep’s wool. 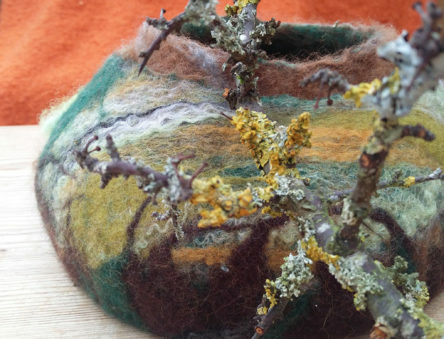 Under the expert tuition of Jane Kay, you will produce a bowl to take home with you, and gain the knowledge and confidence to further develop these skills at home. Upcoming dates: Sat 20th April, Sat 22nd June and Sat 7th Sept. This is a practical course and you may wish to bring waterproof apron and/or gloves. 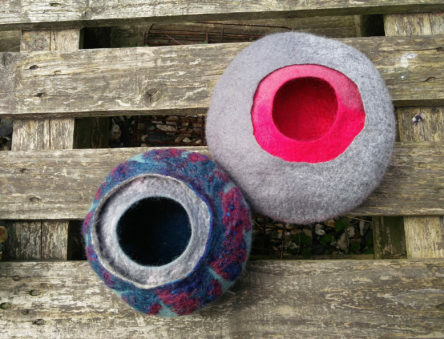 Get to grips with making a felt bowl. 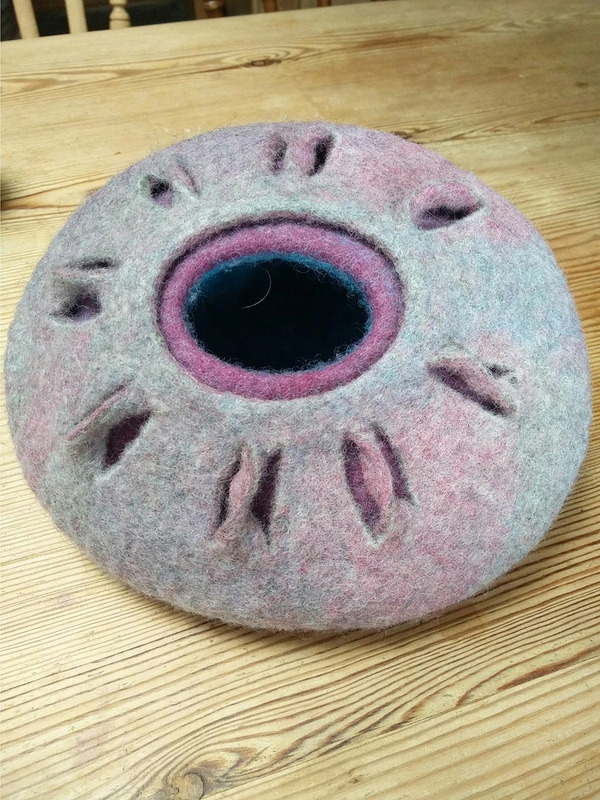 The course is suitable for beginners and those with some experience of felting who wish to extend their experience/share skills and ideas. 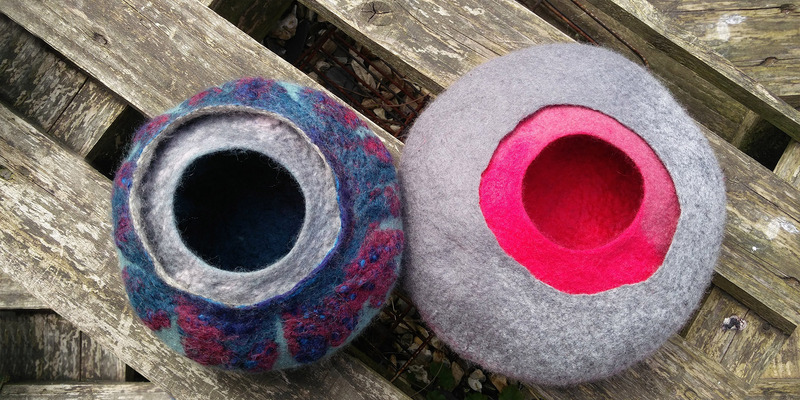 Inspiration for your colours will be taken from the surrounding area so you will take a short accessible walk on the site. To record what you see a camera (phone) or quick art materials would be useful. 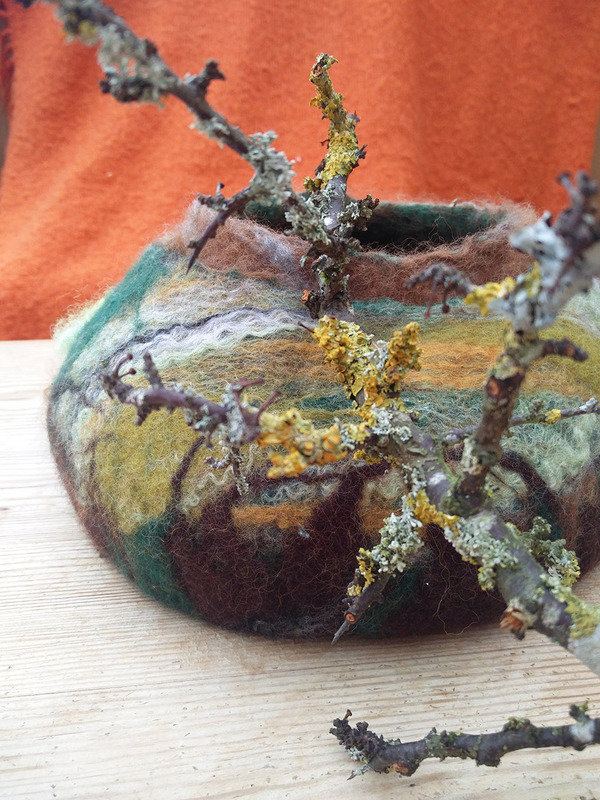 Jane has a lifelong enjoyment crafting, and a decade of experience with felting. 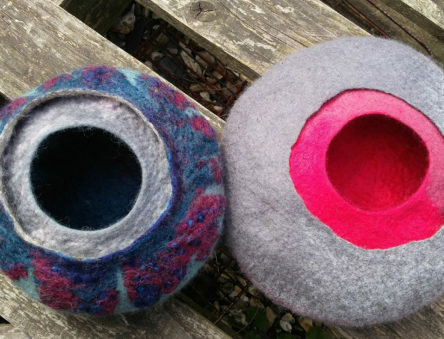 She will bring examples both of her own work and that of her students, and strongly encourages you to express your individuality in your work.